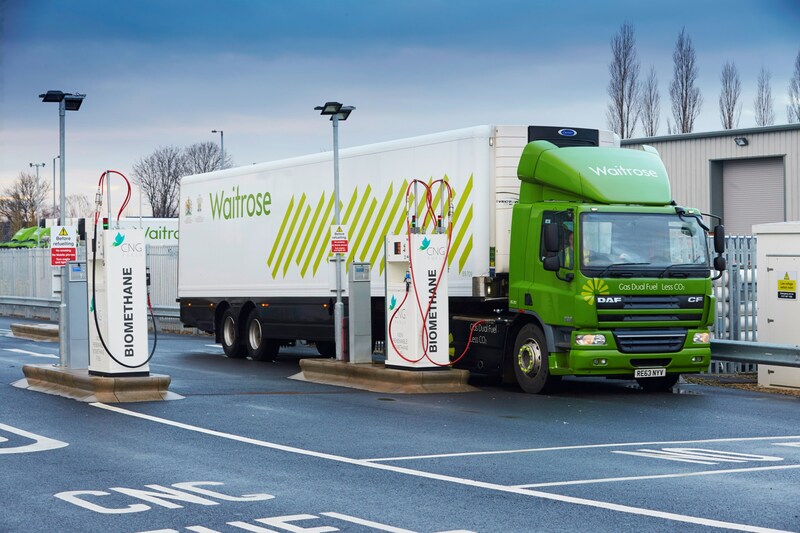 Supermarket group Waitrose has introduced a fleet of CNG (compressed natural gas)-powered trucks with a range of up to 500 miles. It has teamed up with CNG Fuel and will use technology developed jointly with Scania and Agility Fuel Solutions, a CNG fuel systems and cylinders company based in North America. This will help overcome concerns about the distance that CNG-powered lorries are able to cover before refuelling. 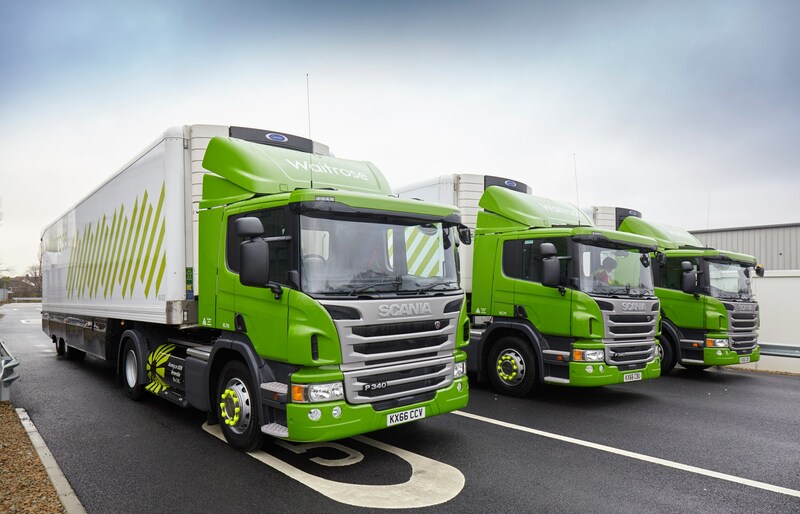 Ten new Scania-manufactured CNG trucks entered operation for Waitrose in January and will be used to make deliveries to the company’s stores in the Midlands and the North. They are the first in Europe to use twin 26-inch diameter carbon fibre fuel tanks which store gas at 250 bar of pressure to increase range from around 300 miles to as much as 500. It will allow them to always run entirely on biomethane, which is 35% to 40% cheaper than diesel and emits 70% less CO2. The carbon fibre tanks, which are already in use in the US, were adapted and certified for the European market by Agility Fuel Solutions, thereby offering significant advantages over the standard European set-up of eight steel gas tanks. The vehicles are half a tonne lighter, hold more gas and can cover a greater distance depending on the load being carried. 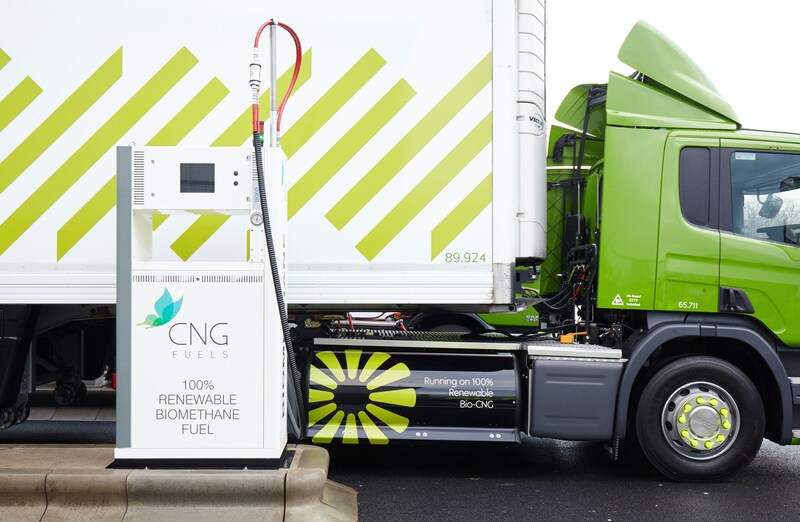 Each of Waitrose’s new CNG trucks costs 50% more than one which runs on diesel, but are expected to repay the extra costs in two to three years with fuel savings of £15,000 to £20,000 a year depending on mileage. Its vehicles are likely to operate for at least five more years, generating overall lifetime savings of £75,000 to £100,000 compared with a diesel equivalent. Each lorry will also save more than 100 tonnes of CO2 a year (versus diesel). Justin Laney, general manager central transport for the John Lewis Partnership, said: “With Europe’s most advanced CNG trucks, we will be able to make deliveries to our stores without having to refuel away from base. "Using biomethane will deliver significant environmental and operational benefits to our business. Philip Fjeld, CEO of CNG Fuels, added: “High pressure carbon-fibre fuel tanks demolish the ‘range anxiety’ concerns that have made many hauliers reluctant to move away from diesel to CNG. composite tanks are not new Gist were running them 17 years ago on there ERF and also chive fuels had them on there Scania 3 Series at that time. I should know as I was the driver that had the first CNG / LNG and dual fuel vehicle in the country. only reason it has taken so long to get to here is the EU stopped all subsidies for alternative fuels back in the mid nouthies. How many horsepower has the truck?